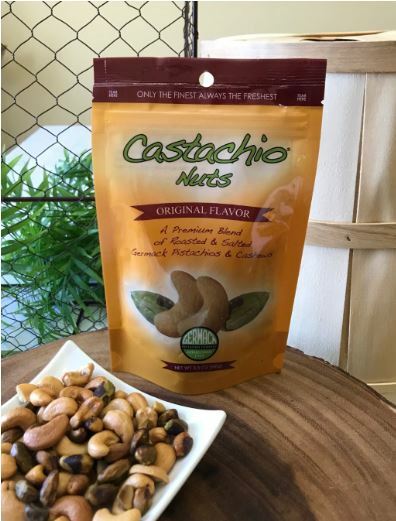 We roast and lightly salt fancy whole cashew nuts and premium shelled pistachio nuts in pure canola oil to create a uniquely simple and flavorful nut blend. Cashews are flavorful, highly nutritious nuts that contain oleic acid, a heart-helathy monounsaturated fat. Pistachios pack a nutritional punch, loaded with B6, antioxidants and lutein. This nut blend comes in our re-sealable zip lock stand up pouch.